Few things matter more in business than reputation. Today, it's often your online reputation that matters most because this is where many people get their first impression. Companies like Primary Intelligence have gained a lot of insight by helping companies with customer experience analysis. Over the past 16 years, they have review websites and social media sites have changed the online landscape. They also heavily influence potential customers. According to the 2015 BrightLocal Consumer Review Survey, 92% of consumers now read online reviews. Four out of 10 people read just 1-3 reviews to formulate an opinion about a company. BrightLocal's 2013 survey found that consumers give these online reviews just as much weight as personal recommendations. The team at Primary Intelligence explained that online reputation management is a key to success. Without it, unhappy customers and even covert competitors could be the ones that define your company's reputation. 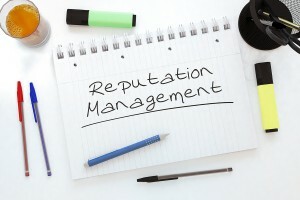 Online reputation management is an ongoing task that takes a fair amount of time and consideration. Here's how you can start gaining better reviews for a better reputation. Starting your own blog will help you control the conversation and build your reputation one post at a time. It's a cost-effective way to establish yourself as a thought leader in your niche who is up-to-date on all the latest trends and information. In today's Internet age, fresh content from a blog can go a long way in assuring customers that you're an active, legitimate company. 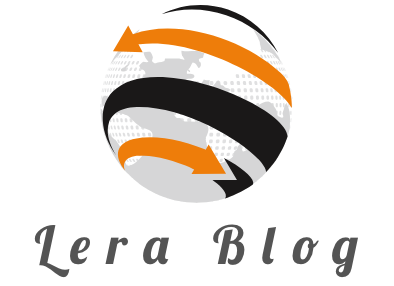 Another benefit of blogging is that you can connect your blog to your social media accounts. This can help you engage in more than one place all at once. You definitely don't want to be the last to know if a customer wasn't happy with a product or service. Monitoring your social media accounts and pages on review sites will keep you up to speed on what people are saying. This provides invaluable insight into what you're getting right and what your company needs to work on to win over customers. It may help to create a schedule for regularly checking each review site and assign this as a specific task for someone within the company. Because of the customer insight that can be gained, this can be a good role for the marketing department. Now that you've got a plan for monitoring what's being said about your business, the next step is to create a strategy for handling negative feedback quickly. Approximately 80% of consumers will bypass a business because of negative reviews. One way to circumvent this is by directly addressing the negative review. Businesses that politely try to problem solve a customer's complaints win serious brownie points with review readers. A report from Sensis found that 90% of polled consumers felt more positively about businesses that responded to negative reviews. It shows that you care about customer service and doing right by your customers. It's important to respond to negative reviews, but the interaction can't stop there. Many businesses miss the mark with building relationships through social media and review pages. They think if they open an account people will come and automatically start sharing and liking. You have to be an active participant in the discussion. That's the only way to build trust and relationships that lead to a better online reputation. If a customer had a great experience it's highly beneficial for you if they share it with others. Don't be afraid to ask customers to review your business. You don't have to be pushy about it or even ask directly. Adding a request to thank you emails and correspondence along with a link to a preferred review site is often all it takes to gain a few extra positive reviews. If a customer sent you a rave review via email you can also ask them if you can publish it on your own website or a review site. If you're willing to do the work and publish it verbatim there's a good chance your customers won't mind. More people are reading fewer reviews to determine whether or not they want to work with a company. With the tips above you can make sure those reviews help your business instead of holding it back.